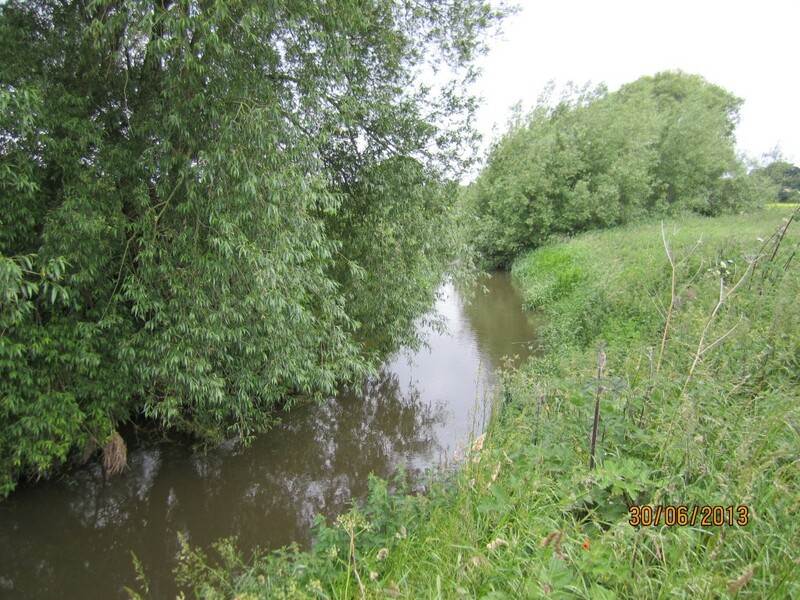 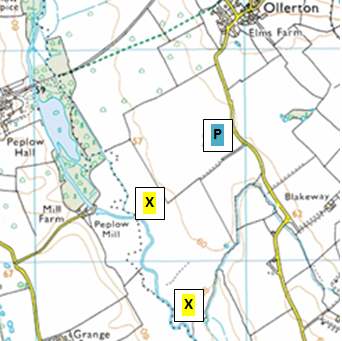 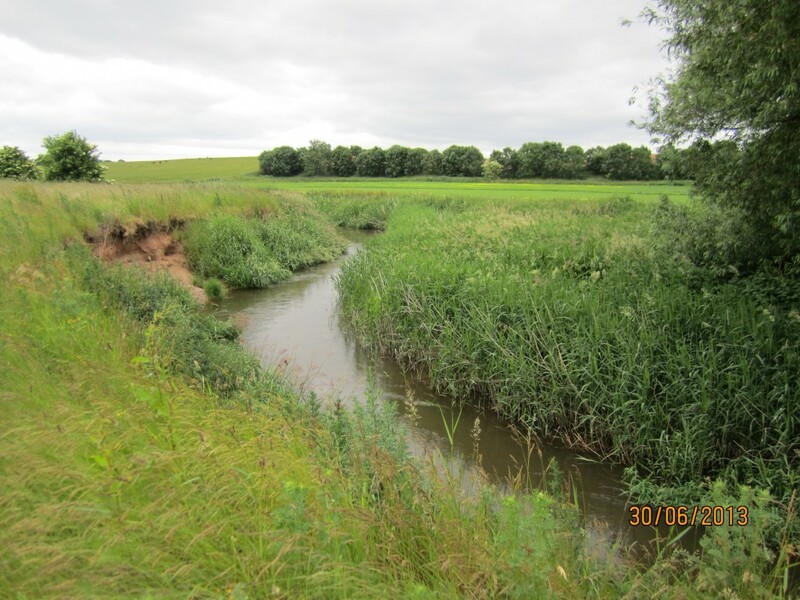 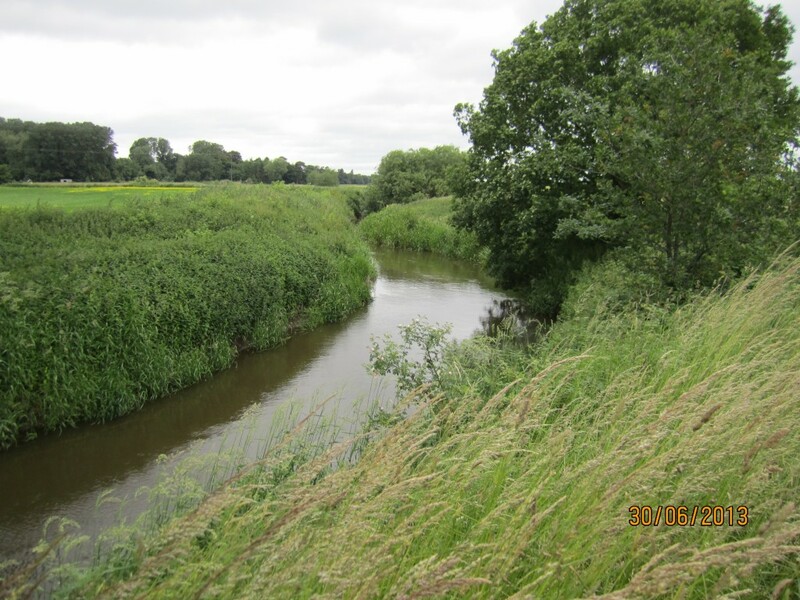 We have a short stretch of the River Tern nr Peplow, accessed off the road heading south of Ollerton – park inside field gate by the ‘P’ marked on map below. 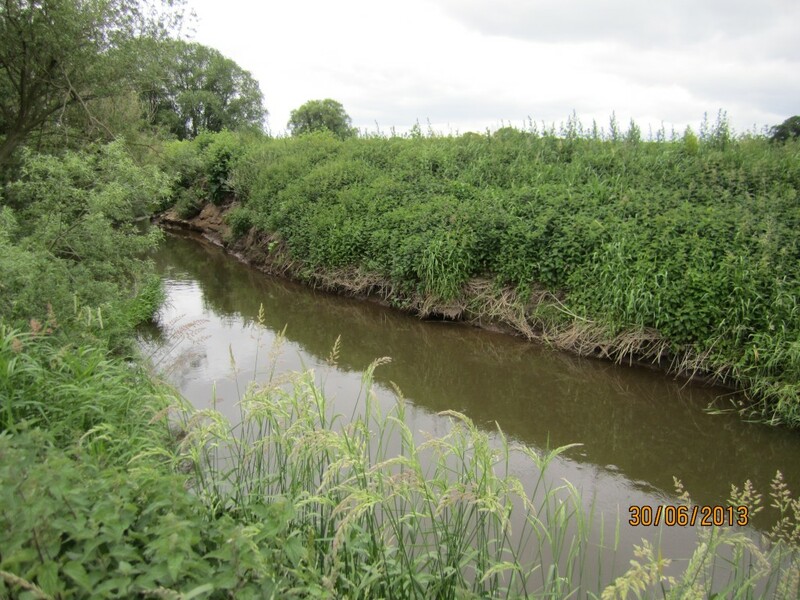 It runs for approximately 1 km from where the main river and bypass channel rejoin just below Peplow Mill, to the end of the field, the boundaries being marked with an ‘X’ on map below. 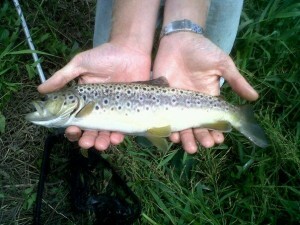 It’s challenging to fish, but the potential rewards for those prepared to engage in traditional river fishing are contact with strong, river honed, fish such as Chubb, Roach, Perch, Pike and even wild Brown Trout – like the one shown in the photo gallery.